How crappy the currency conversion and exchange rates in PayPal is and how to avoid such crap and get most out of your PayPal Balance. Every Indian who has done a transaction in PayPal complains about their exchange rates. 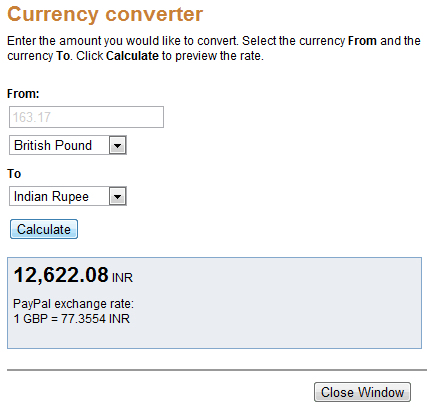 See for yourself how crappy the currency conversion and exchange rates in PayPal is? Client sent me PayPal payment in GBP. When accepting the payment instead of converting the payment in USD, I preferred to keep the payment as GBP balance. I had 163.17 GBP in my PayPal account. When converting GBP to USD, PayPal would give me 251.58 USD. 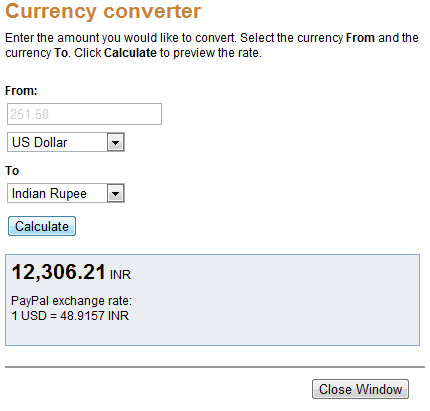 In currency converter form of PayPal 251.58 USD and 163.17 GBP does not give the same amount in Indian Rupees. Finally money was withdrawn without converting the GBP Balance to USD. Avoid currency conversion in PayPal. It is the best way to get the most out of your PayPal Balance. f*ck paypal. f*ck you very much! now im $10 short. Do you mind sharing why Jeff? You’re doing two currency conversions. You’ll pay fees on each and that applies no matter where you go. I’ve found Paypal gives me a better rate than my credit card company. lol!! It’s time to make GBP as primary currency.